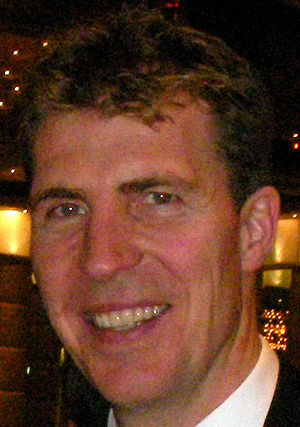 Jim Stynes, a true legend in many respects, died after battling cancer. He lived his life through to his death like every other pursuit – giving always 100%. Jim gave it all. On and off the field, he exceeded his reputation as a legend of Australian Rules Football. Jim Stynes loved Joseph Campbell’s Hero’s Journey. He had a great quote about what a gift cancer had been to his life. It showed him how to live. He sought to push people past ‘The Ordinary World”. The Ordinary World is the comfort zone of life. He would dismiss failure as just part of the journey. Jim wasn’t afraid to be vulnerable, and brushed off failure as a valuable experience. He taught others by his example. This is what made him a unique individual. He once invited me to join him with his organisation Reach when they did a training workshop. He was very grounded, and saw right through anything that wasn’t authentic. He left me with a book he had written which was typical of his style, subtitled: “A Guide To Realising Your Dreams”. At this training, Jim taught me one of the most poignant lessons about collaboration through a simple children’s game involving balloons. That lesson was a real gift which I will never forget. I will always remember the look in his eyes as he taught me something that he saw I needed to develop. I guess it comes down to a simple choice – get busy living or get busy dying. Thanks Jim. You are truly a champion. This entry was posted in Hero, Inspiration, Jim Stynes and tagged Cancer, Jim Stynes, Ordinary World.